Availability: Discontinued March 2014 – Replaced by new model Yamaha CLP535. Call 020 8367 2080 for information. You get a 5 year UK and Europe ‘at-your-home’, parts and labour warranty. This means we send a Yamaha technician to your home for any repairs. There is no cost to you, and you’ll never have to send your piano anywhere. First, thanks for the use of your guide to digital pianos. It was quite useful and timely. We looked at it to assist our son, Allen, a recent college graduate now living in Philadelphia, Pennsylvania (we’re in the Greater Cincinnati, Ohio area). First some background: Allen is a talented, classically trained pianist for whom we have already procured (about 6 years ago) a fully restored, 7-foot Steinway B grand piano. The problem, however, is that, as a recent college graduate renting an apartment far from home, he has no place for this piano. In fact, it will probably be 5 to 10 years before he’s settled into a place where he can have this wonderful instrument. Consequently, he was looking for a digital piano with good action and sound so he can continue to play and avoid those bad habits that develop with instruments of lesser mechanical and sound quality. He wasn’t looking for a lot of bells and whistles. Main reason he chose the clp430 is described above. Additional thoughts: We also discussed the Yamaha stage pianos (CP1 & CP5). The CP5 looked to be the real value proposition for his needs, except he would then have to separately purchase a stand, bench, and speakers. So, all in all, it would have cost a fair amount more than the Clavinova. And since he just wanted something for his apartment – not something movable for traveling performances – the CLP430 Clavinova better suited his needs. Further, as he sees it, this instrument is a “bridge” for just a few years until he gets the B. Also, he concurred with your recommendation to buy new so as to have a warranty for a few years, as this would cover most of the time he anticipates using the Yamaha before transitioning back to the B.
He’s had the Yamaha 430 a little less than a week, and, so far, likes it a lot. It will be interesting to hear his comparison when he comes home and plays the Steinway over Christmas. At least I’m looking forward to him having “brushed off the rust” and getting back to his old, higher-than-average level of performance. Again, thanks for the guide. Allen said he performed some of your recommended tests when checking the CLP430, and that those tests were both useful and informative. I bought the Yamaha CLP-430 Digital piano almost a month ago . Looks: First of all the piano looks great in my bedroom . It lights the space up and it is difinetly something to show off even for people who are not into the piano . ( I got the Black color by the way ). Feel and touch : The keys feel very realistic and sensitive to the touch. The clp430 imitates the touch of a real piano nicely. Although i have to say here that its noticably imperfect. Still i think its good for its value of money. different and relastic . But when i am not wearing the headset and the voume is turned up to more than half the maximum the sound quality isnt that great . Especially when i hold the sustain pedal down . Its just becomes too dense and a bit noisy . Now according to the manual you can tune down that sustain pedal resonance feature , which i have tried with no success . I am sure i got the correct function number and all but still it sounds exactly the same . So to sum on that , The sound is good , definitely good enough to be beautiful , but i expected a bit more from the Yamaha 430 with the amount of money i paid , and the sound is clearer when you plug in the headset. all the different sounds and they all sound good to me ( espicially the choir sound , that was a nice addition ) . reverb and all that . It does add some nice colors to the sound , but i could live without them. Thank you for the valuable advice regarding the purchase of a suitable piano. As a total beginner, I had to do some research about which piano to go for and why and so on.  I then came across UK Pianos website which I found extremely helpful and full of information and answers for whatever question I had about pianos. Hence I made my decision and purchased a Yamaha CLP430 Clavinova. I was really happy with the options available on the website and with the excellent customer service. Thank you. I am 67 years old and have played a piano for all but 5 of those years. I took the Associated Board examinations to Grade 7 in my teans, and have gone on to play much more difficult concert show pieces- Rachmaninov Preludes, Concerto’s 2and 3, Brahms No.1, Chopin Revolutiony and other Studies, Clair de Lune., Listz, Beethoven etc. My current piano is an Eavestaff Mini-Grand. which is very good for my dining room. 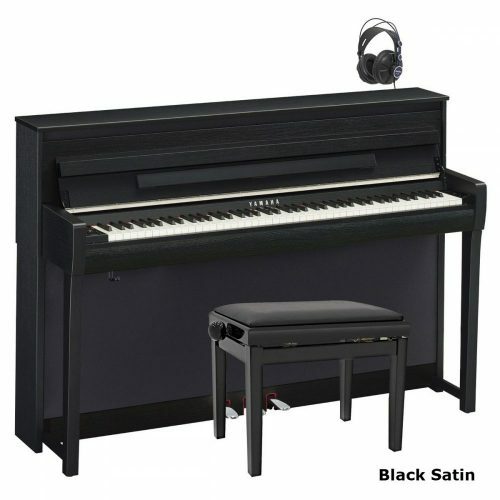 I am interested in purchasing one of the latest new Yamaha Clavinovas CLP 430 or 440, but need to know how different the “feel and the whole experience” of playing these electric pianos is to the real thing. I want the silence facility to be able to sort out and practice the difficult music I am still wanting to play without disturbing my family. I have the opportunity of trying a Clavinova out at my local piano shop but you really need some time to fully assess the merits of them against the real thing. Can you throw any light on my above quandery? Yamaha offer some of the finest digital pianos. CLP470 closer to your grand piano. My CLP430 has arrived and I’m thrilled with it. Absolutely wonderful. Very good recommendation, thank you. Basically, I am considering purchasing a Clavinova CLP430. It more than ticks all the boxes for me which is great but am just a but concerned I might be spending a lot more than I really need to for my purposes…….. I played classical piano to grade 8 level as a second instrument at uni but haven’t played any piano since leaving (15 yrs ago!) Looking to buy a digital piano to get me back into my playing for pleasure purposes only, also hoping my 2 year old will develop an interest if she sees me playing and we have a piano in the house. Lastly, ideally I would like something which looks fairly traditional rather than organ like, if you know what I mean! Would be interested and grateful to hear your thoughts. The CLP430 is an excellent choice. as good for the price. that feels close to a real piano. The tone is also realistic. you back to a high standard again. just to thank you for your great advice! 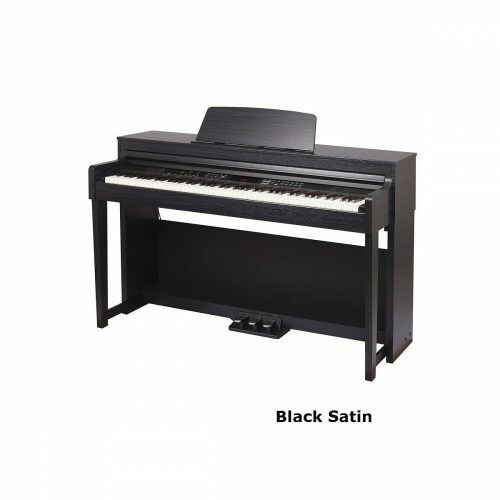 I was about to purchase a Yamaha CLP-270 but having read through your advice, I realised that spending £1000 less on the CLP-430 gave me pretty much the same piano without the unnecessary wooden bits. I would have been suckered into their con without you. Once again, thank you! It has taken some time but I think we are close to making a decision now. 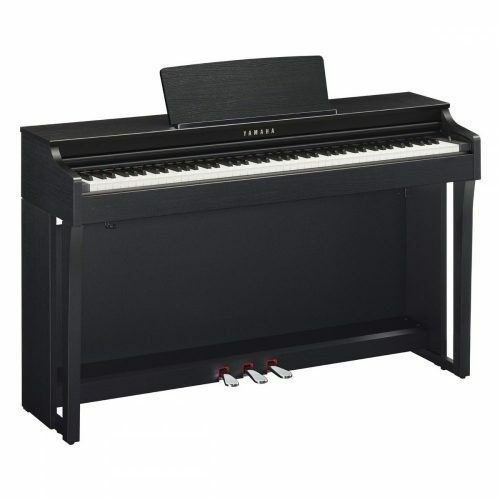 I have really only considered the Yamaha Clavinova but have been switching between the CLP 440 and CLP 430.
can be more of a problem, due to shrinking and expanding with variations in temperature. I learnt to play as a youngster and want to ‘get back into it’, same applies to my daughter and my son is self taught and would like the ‘all singing all dancing’ version of anything. The 430, I believe, would give him enough of a range to keep him happy. Thank you very much for your ebook. I gained lots of knowledge from it. My son is going to start his piano lessons very soon. He is six and half years old. I plan to buy a digital piano since we leave in an apartment. I was introduced Yamaha CLP430, which is a very good choice; but it lists in 17th place in your list of over 1,000 product line. CLP470 seems very good in terms of sound and touch, it ranks 3rd place in your list; but costs about 1,000 more than CLP430 and weighs about 30 pound more. I tried both CLP430 and CLP470 in a store before I found out your website and read your book, did find/feel a little difference in touching. I’d like to know if CLP430 is good enough for my son, or CLP470 might help him plan piano better now and in the future. most important thing, and the sound is realistic. piano grades. Say from grade 6 upwards. Within 7 days after purchased Yamaha CLP 430, we decided to exchange it with CLP470 for much better keyboards performance. I had 7+ years of taking piano lessons in the childhood and grew up with a Yamaha acoustic piano. CLP 470’s keys are much closer to what I am used to (with acoustic piano) and they also make the playing performance better by reducing errors, compared to 430. 470 keys make my hands less fatigue and overall, a lot easier to play. Very helpful information and prompt replies. Cant ask for more. I wanted to return to the piano after many years absence and although I did fancy an electric piano, I had no idea what to buy until I stumbled upon your website. I’m looking for advise, I am current considering the Yamaha CLP 430 for my 13 year old son, who is at grade 2. I have read some conflicting reports on the internet but what I really need is expert advise, I believe this to be the next step on his progression but also suitable for next 10 years. Can you please advise if this is suitable or if I should go for the next model up the 440? I feel the 430 is more than suitable but I need an expert to give me peace of mind over the minority of negative comments on the internet?. piano sound. These are the most important things. that’s at grade 2 level. consider upgrading to the latest model then. still be OK for these grades. I know you have a bunch off emails to read and reply, so I’ll make it as short as possible. I am from Iran and after reading your piano reviews at your site, I decided to buy a CLP 430.
about(here a month could be a year!!! ), I’m thinking maybe there is no major difference between two. or a lot more to have the new model? why not go for the CLP330? I have recently downloaded your digital piano guide – thank you for explaining everything so clearly, it has helped to narrow my options down. I am an adult beginner and wondering which instrument to buy. I play flute to grade V standard and ideally want to purchase an instrument (max £1500) that will take me to this standard on piano. I have a slight hesitation in that it is an expensive outlay for an instrument that I can’t yet play. I am currently interested in the Yamaha 430 or classenti CDP3 and was wondering which of these instruments would be most suitable or whether I am actually looking at instruments above the level I would need? The rent to buy option with the classenti is attractive, is this an option with the yamaha? smoother feel to the keys than the Classenti CDP3. So this would be a better piano for you for the price. CDP3i is the one I recommend for you. the size of Yamaha to have extended coverage (even with additional subscription ) for worldwide or European warranty. I have just bought the Yamaha CLP 430 digital piano and i am in need of some advice . See , i want to set up the different features and controls of the instrument to get as close as possible to the sound and feel of an acoustic piano . 1. What should be my setting for the key sensitivity (Light , Medium , Heavy). 2. To what should i set up the brilliance effect (Bright , normal , mellow). 3. Should i use the first or second grand piano sound as i practice . If there are other things you would like to share – any advice – would be most valuable. The most realistic key sensitivity setting is medium. that has soft hammers or a less lively soundboard. Personally I prefer the normal setting. The first grand piano sound is the most realistic.